The cocktail bar was amazing and Callum was super. He went over and above to ensure we had a fabulous night and was so friendly and entertaining. Everyone had a great time and is still talking about it. We will defo be booking again. Booked you for my mum’s 60th birthday and it was excellent. The cocktails were enjoyed by everyone and we really loved taking part in making some. Damien was really helpful in getting everything booked and our bartender for the night, Andrew C, was really friendly and knowledgeable. Can’t thank you enough – really recommended! Booked these guys to come and do an outdoor bar for a birthday bar-b-q I was having and couldn’t be happier with everything they did. Before the event they were great at getting in touch and sorting things out as well as creating a signature cocktail for the evening. On the night the bar staff were fantastic – engaging and chatting with everyone including the kids (they made mocktails for the kids and some of the adults who were driving) and keeping things going. Would highly recommend. Everyone had a fantastic time making (and drinking!) the cocktails. We definitely lucked out getting Joshua, the Disney-singing barman! That made our day (especially my sister who is obsessed by all things Disney)! Everyone there would definitely recommend Social and Cocktail for another event. It was extremely professional and a lot of fun! You guys were fantastic and we were delighted with what you did for Cara’s 18th Birthday Party. Joshua and Gregor were superb and went far and beyond what we expected. Many thanks again and we would have no hesitation in recommending you. To anyone! This was the 4th time I’ve booked this cocktail company and it gets better every time I use them. Our bartender Andrew was so great and his master class was better than any other bar or company has ever done. Thank you so much, we will be using you again! We had the most amazing event for 19 people the weekend just gone in Edinburgh. Catering with both alcoholic and non-alcoholic drinks, Murray was a really good sport and absolutely made the event! He was friendly, tonnes of fun and made and taught us some amazing cocktails! I would 100% recommend. Everything went perfectly last night for my daughters 18th Birthday Party; the cocktails were delicious, and Patrick was very professional and efficient, and worked solidly throughout the evening to ensure no guests were kept waiting too long for their drinks. The set up and clearing away of the bar was completed quickly and thoroughly with the utmost care taken. We all had a fantastic time and look forward to using Social and Cocktail again in the future. We had a totally fabulous night. Connor was totally awesome!! A real asset to your business. He was great a lovely personality and a natural gift for just making the evening flow so that everyone had a great night! It was a huge success and we have been talking everyone about it. All of my daughter’s friends said it was the best 18th they’d been to by a mile! Please pass on my thanks again to Connor he was perfect. Our Social and Cocktail Hen Party was excellent I would recommend you to any of my friends. Kyle was brilliant! Thanks again for sorting and organising everything. Our Social and Cocktail night was excellent, we had so much fun and Calum was absolutely brilliant. I have recommended you guys to loads of people and a lot of the hens will be contacting you soon haha. Please say a massive thank you to Calum, and thanks again for all your help you have been great and my sister Natalie absolutely loved it, thanks again. We all had a fabulous time! Thank you very much and big thanks to Kyle, he was awesome! I would be more than happy to recommend Social and Cocktail, everyone thought it was just great. Everyone had a great time at our Hen Party event and the cocktails and bartender were ace. Highly Recommended!! Everything on Saturday was perfect, thanks so much! John and Callum did a great job and all the cocktails went down a treat. Thank you very much for an excellent night on Saturday for my hen party! Conor the bartender was lovely and the cocktail making was great fun! We had a great night for my daughters 21st Birthday and it exceeded expectations. Jon was really fantastic and the whole experience of booking with you was 100% perfect. I would without hesitation use you again and recommend you to family and friends. I booked this for my friends hen do and they were absolutely fantastic! Very well organised, excellent prices, fabulous cocktails and great banter! Super friendly and professional! Thank you SO MUCH!! Last night was fantastic and Gregor the bartender was fab. Thank you for all the sore heads today! Wow – what a fantastic company! 18th birthday party on Saturday was brilliant – Damien was excellent at sorting booking for me and Callum and Fraser made the night – thank you all so much. Last night was excellent! Everyone really enjoyed all the cocktails and taking part in making them. Gregor was lovely and the night ran really smoothly. He made sure all the guests were happy and gave the cocktails at the perfect timings. Thank you very much for a great 21st Birthday party! My daughters 18th Birthday Party went really well. Callum and Fraser were great. They had to work very hard!! Anna and her friends had a fab night and all really enjoyed themselves. Just wanted to say thank you to Connor last night – he was an absolute star. What a lovely young man he was so chatty helpful and professional. I would definitely recommend Social and Cocktail and use your Company again. Just wanted to say a massive thank you to Social and Cocktail and Patrick for a brilliant evening at our Christmas Party. We had an absolute blast best weekend up there so far (we go twice a year) will be booking again for April/May next year! I had a great birthday thank you, and the cocktail party was perfect! All of my friends had an amazing time and I think they may even be pinching my idea of hosting one themselves. Thank you for my cocktail night it was fabulous and we are already trying to organise another one for one of the girls birthday next year. I loved the night and so did all my friends, and the cocktail bartender was very accommodating and made us feel very relaxed! Will definitely be recommending you!! We all had a fantastic night last night! Great fun, fabulous cocktails & Callum the cocktail barman was a star! I would highly recommend booking this!! Our cocktail package was absolutely amazing – the bartender was more than perfect. I loved it and so did everybody else. Thank you so much! Everything was great –all the ladies really enjoyed the cocktails. Gregor the bartender was really good and very accommodating throughout the night. The Social and Cocktail package exceeded our expectations and everyone was raving about it! Callum did a great job and we are now looking for an excuse to use it again!!! Highly recommended! We were over the moon with the service and the guys did an amazing job in providing the cocktails, plus the mobile bar they have was fantastic. The whole day was amazing and cocktails and sun together went down a dream. Thank you very much. We had a fantastic time with Social and Cocktail for my 40th Birthday. Thank you for making it a great event and Josh the bartender was just the best. Great idea to make any party fabulous!! Everything was great. Your bartender Gregor was fantastic and the cocktails were fabulous. Everyone had a great time and thank you for the great experience. The cocktails were delicious and went down a treat, it added lots of value to the Hen Party evening and I would recommend Social and Cocktail to others. It was fantastic, your bartender was great very professional but fun. He had his work cut out as we were all a bit too drunk by the time he got started but he got people involved and was great fun. Poor lad had to get deafened by drunk women though but he assured me he was used to it. I found you both professional and approachable in all aspects and mega impressed with the bar and products used. A great time was had by all, the cocktail package was very good. The cocktail bartender provided was very polite and efficient. Everyone had a fab time and Callum was great, everybody loved him, can’t fault the service at all, first class. I will definitely be recommending your services to all my friends. Thanks for a great night. The girls thought Joshua was very good at what he done and charming. It was good fun, professional and I thought it all made for a really good night. I would definitely recommend to family and friends. Thank you Social and Cocktail for a great night of cocktails. Everybody had a fabulous time and would definitely recommend. We had a great night on Saturday, Joshua was really good. The cocktails were fab, better than we expected and such good value! Also we were all really impressed with the bar as other people we have used in the past have just set up a “bar” in the kitchen. We will definitely use you again in the future and would absolutely recommend you to our friends. I just wanted to say how brilliant Joe the bartender was last night. He was very professional and everyone had a ball. I will definitely be recommending Social and Cocktail Events. We all had a brilliant night for my hen with excellent cocktails. Joshua the bartender was great fun. We all thoroughly enjoyed our evening of cocktail making as part of a girls get together. 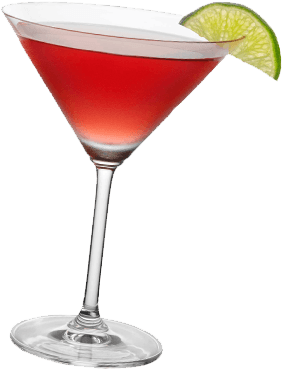 We all had a shot at making a cocktail and of course enjoyed drinking them. Would recommend Social and Cocktail to anyone wanting a night in with a difference. Thanks to you guys for such a fantastic night. We had such a fun time and would highly recommend Social and Cocktail. Big shout out to Ryan the bartender who got in the hot tub!! Thank you so much for yesterday. Everything was absolutely perfect and brilliant fun! Definitely recommend your company. Very professional and great service. Cocktails were fab!!!! Thanks again. I would like to thank you very much for a fabulous service and speaking on behalf of everyone, we had a truly amazing time. Gregor delivered a first class service and I would love to use this service again in the future. Our cocktail event was amazing!! The boys were so professional, efficient and fun and at the end of the night they left the place sparkling. The cocktails looked amazing and tasted even better! Many of the guests said it was the best party they’d ever been to! Highly recommended. Everything was excellent, thank you – very professional and when the rare Edinburgh sunshine came out half way through setting up the bar indoors, the cocktail bartender was more than happy to dismantle and set up the bar in the garden instead, which was hugely appreciated. Would definitely recommend! Social and Cocktail were great from the moment they walked in the door, highly professional and our guests were raving about the cocktails. Maguires would 100% use Social and Cocktail again for any corporate events we have in the future. I was delighted with the service from Social and Cocktail. Everything was very well run and the barman, Gregor, was excellent, very friendly and helpful and really involved all my guests with fun cocktail making. He stayed right until the end of the party and cleared everything up efficiently. I would definitely use Social and Cocktail again and recommend them to my friends. Fantastic addition to our event, added a bit of sparkle and fun, not to mention some brilliant cocktails. Our package was tailored to suit our requirements and the price was excellent! Thanks so much to Damien and Joshua for all the hard work on the day, would highly recommend and hope to book you again in the future! Thank you very much for your services. I was absolutely overwhelmed with the amount of people that turned up for my 50th Birthday Party. Thank you to you and Joshua for helping to make the night a complete success. I would highly recommend your services to anyone who has a special event. I really do think Social and Cocktail is a fab idea. It’s so much fun having a group of friends together and making cocktails in the comfort of your own home. It was so relaxed, rather than heading out to the bars around town, but is completely professional and would be perfect for parties or special occasions, like hen dos. It is always a novelty making your own cocktails and being shown how to do it properly. The cocktails were all delicious and it would take one of the stresses away from organising a party as literally everything is provided. Overall, we all had the best time and I would love to do it again at some point. My 50th birthday cocktail party was a great success. The girls loved the cocktails and especially the master class, which went down a treat. Oscar the bartender was professional, friendly and kept the party flowing all night. All of my staff had an excellent experience on at their Christmas staff party with Social and Cocktail Events. These guys do exactly what it says on the tin! I booked Social and Cocktail Events for my daughters 21st Birthday Party and we found them to be very professional. The cocktails were excellent and the barman was very entertaining which made for all in all a brilliant night. I would totally recommend Social and Cocktail for any event and would have no hesitation in hiring them again for future events. Social and Cocktail took the stress out of hosting a cocktail party and added a bunch of fun. It’s a great service and we enjoyed watching drinks being mixed, learning about them and, of course, drinking them. My living room has never been a better place to be! Social & Cocktail gave us a great afternoon in the office! They were very friendly, chatty and the service was fantastic! The cocktails went down a treat, especially the White Russians and the quality was the best I’ve ever had! Would definitely recommend them to anyone and will most certainly be using them again! We all really enjoyed the cocktails that were served by Amy at my 40th birthday party. Thoroughly recommended, now trying to think of an excuse for another cocktail party! Booked Social and Cocktail for 20 of us for my cousin’s hen night and I’m so glad I did. We kept it a surprise and she was delighted to find a fully staffed cocktail bar in the kitchen! The team was really professional, accommodating and friendly. I think it’s something quite unusual for a hen or a party, and it’s great for all ages. Cocktails were also yummy (and there’s a big selection) and much better value than going out in town. Trying to think of an excuse so we can do it again! We had a Hen Party last weekend in Piper Dams with Social and Cocktail and I’ve been telling everyone how fab you guys were. I would definitely recommend Joshua the bartender for everything! Thanks again for a fun filled Hen Party! Had a great night at Bonnyside house with Josh and Damien. Cocktails were fabulous. Suzanne (the Hen) thoroughly enjoyed herself and so did the rest of the girls. Would highly recommend your company to anyone. Here’s to the wedding in Mexico! I booked Social and Cocktail to come to my best friends hen weekend. Everyone there had an amazing time, the cocktails were delicious and our bartender helped to make it a special night. I would recommend them for any special event or even just a fun night in. The Social and Cocktail team provided a brilliant service, from planning through to serving the drinks. We were really pleased with the menu and the flare skills drew the crowds in; our exhibition stand was overrun with people queuing, despite plenty of other empty bars in the room! Social and Cocktail offered a great, cost efficient service. I was looking for something unique for a small corporate event, and they offered the perfect solution by bringing along their mobile bar to our boardroom. The event I was planning had a Spanish theme, and Social and Cocktail even made recommendations for suitable drinks to fit the theme of the evening, so the cocktail menu was all agreed beforehand. The quality of the cocktails served was first class and the bartenders certainly kept everyone entertained with some impressive tricks! Overall it was a really enjoyable experience. I love these guys they bring a bar, lots of booze and everything they could need to make a selection of yummy cocktails. We had such a laugh with our bar tender Evan, banter and alcohol are a good combination. He is great bar tender too mixing up some truly delicious cocktails. We had the best Christmas Party in our office. The hard work was all done by Social and Cocktail and they made sure that all our guests had a great time. I’d have paid them twice the money (don’t let on….!) as they were so good, they gave great customer service, we will definitely use them again. For my Cocktails ‘n’ Cosmetics night, I opted for one non-alcoholic cocktail – the Summer Berry Sling (pronounced “delicious” by all who drank it) – plus three old favourites: French Martinis, Mojitos and Margaritas. And, since I’d never tried them but associated them with black & white movies, Old-Fashioneds, a whisky and orange bitters concoction which was the perfect final cocktail of our soiree. It surpassed my expectations. I have had great comments from our friends who all loved it. All said what a fun evening it was and how it made for a party with a difference. The cocktails were delicious and people enjoyed having a go at making them. But what really made it was the 2 guys who were brilliant. They were very relaxed but professional, chatting with our guests and helping the party to go well. I think it was excellent value for money and we certainly plan to ask them again. I would definitely recommend hiring them. It is such a brilliant idea for birthdays or hen nights or even just for a fab night in or even before you head out to a club! It’s less than what you’d pay if you were in a bar in town and yet you don’t even need to leave your house! Very professional and I’m seriously really impressed. Great value for money I reckon. 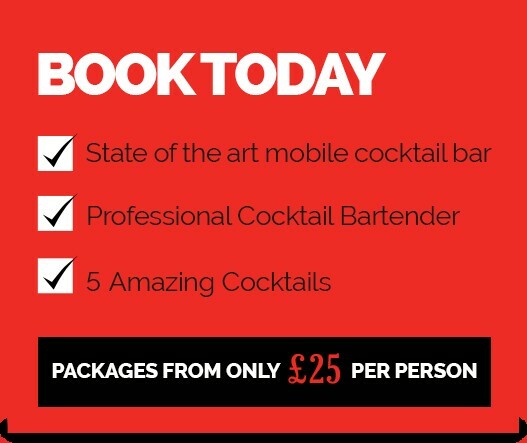 You’d easily pay a fiver or more for cocktails on a night out so I think this is a pretty amazing deal especially since you are getting a private bar in the comfort of your own home! The cocktails were brilliant and I think the raspberry mojito was the biggest hit with everyone! Social and Cocktail used only quality ingredients and were very friendly, professional and entertaining, we had a good laugh! I actually can’t think of anything that isn’t positive about the whole night. It’s such a great way to add a different aspect to a house party and looks so professional. I highly recommend them. 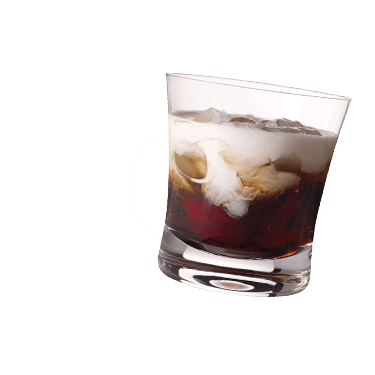 Social and Cocktail are great for small parties in your house, hen or stag parties, birthdays or even a “just because” party. 100% recommended! We all had a brilliant evening, and I’d definitely host another cocktail party in the future. It just slots in perfectly for any occasion: stags, hens, house warmings… the lot. We had 5 yummy cocktails each. Generally, it’s far cheaper than what you’d pay for 5 cocktails in a nice bar.